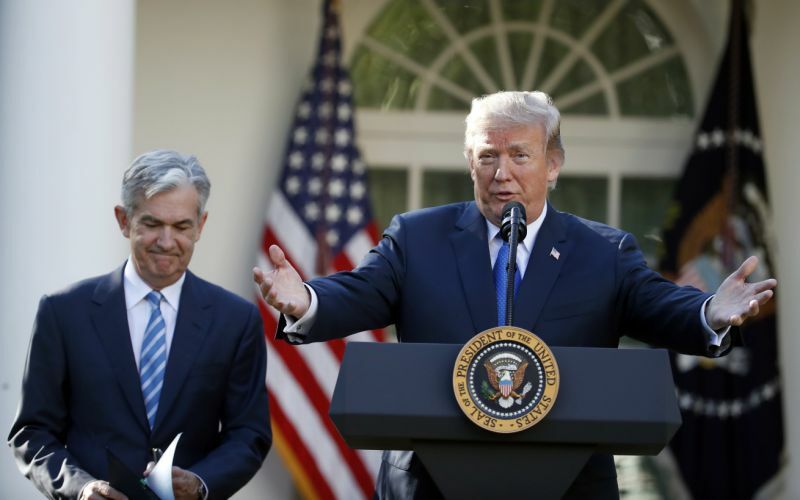 As the Federal Reserve tightens monetary policy with its steady pace of interest rate hikes, President Donald Trump continues to criticize the central bank. “I think the Fed has gone crazy,” President Donald Trump said. Trump made the remarks after stepping off Air Force One in Erie, Pennsylvania, where he is due to hold a “Make America Great Again” rally. His comments follow a volatile day of trading in the stock markets. At market close on Wednesday, the Dow (^DJI) lost 3.15%, or 831.83 points, and the S&P 500 (^GSPC) fell 3.29%, or 94.66 points. Experts attribute at least some of the decline to the recent rapid rise in Treasury yields. As far as the market selloff itself is concerned, Trump didn’t seem too surprised. The Fed, which is statutorily independent of the executive branch, has not faced significant political pressure in many decades, although the Richard Nixon administration is on record as having a heavy hand over the Arthur Burns-run Fed in the 1970s.